The trades industry is constantly evolving. We know the importance of keeping abreast of all compliancy measures to ensure our Byron Bay metal roofing worksites are as safe as possible. We also like to think about creative ways to showcase our Byron Bay metal roofing projects, our quality of works and how to add value to our relationships with our existing and potential clients. 2016 has seen us expand our services to include a photography shoot of our premium projects ~ perfect for builders wanting to include as part of their profile or homeowners wanting a professional portfolio of their new home or roof. This can all be provided by director and hands-on owner of Skilled Roofing ~ at Mark Goodwin Photography. 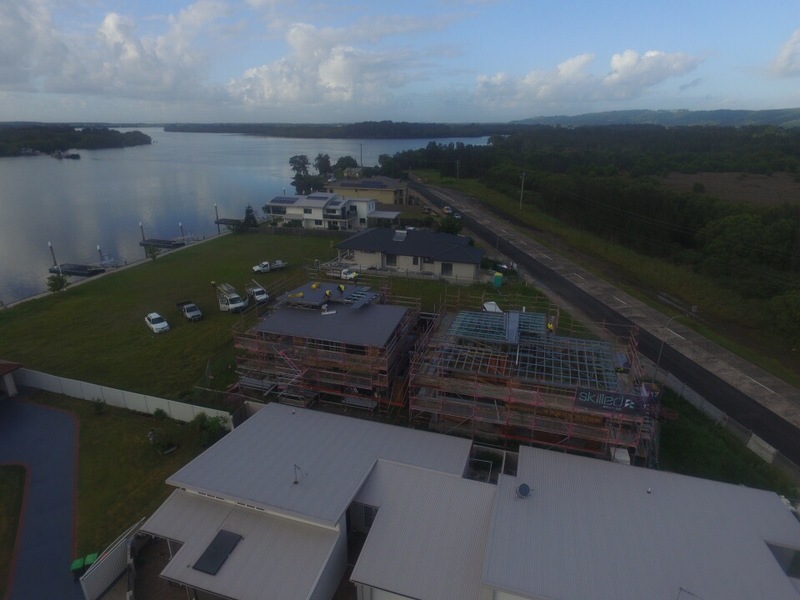 Seeing a very real and obvious potential was also the use of a drone on our Byron Bay metal roofing projects. What is a drone? Well, effectively it is an unmanned aircraft and what some will call a flying robot. 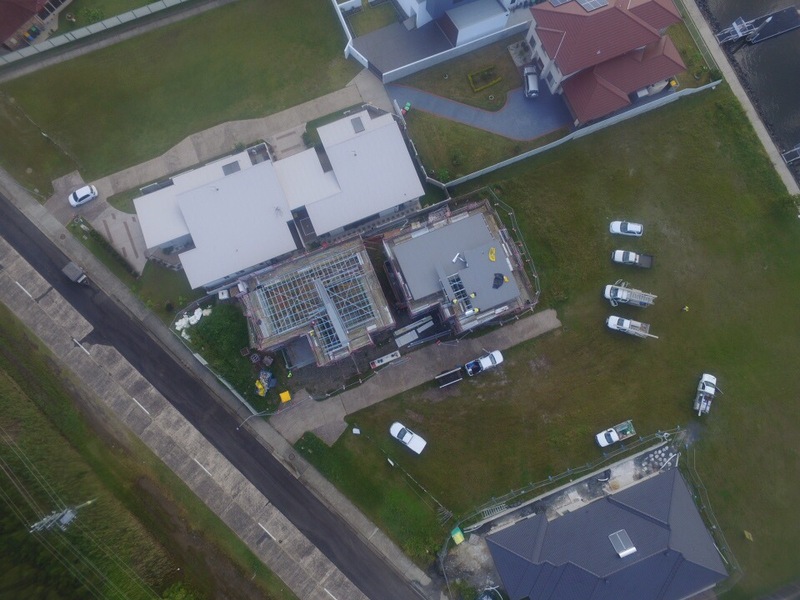 Having this advanced way to capture aerial footage has been a very valuable tool to add to our Byron Bay metal roofing belt. 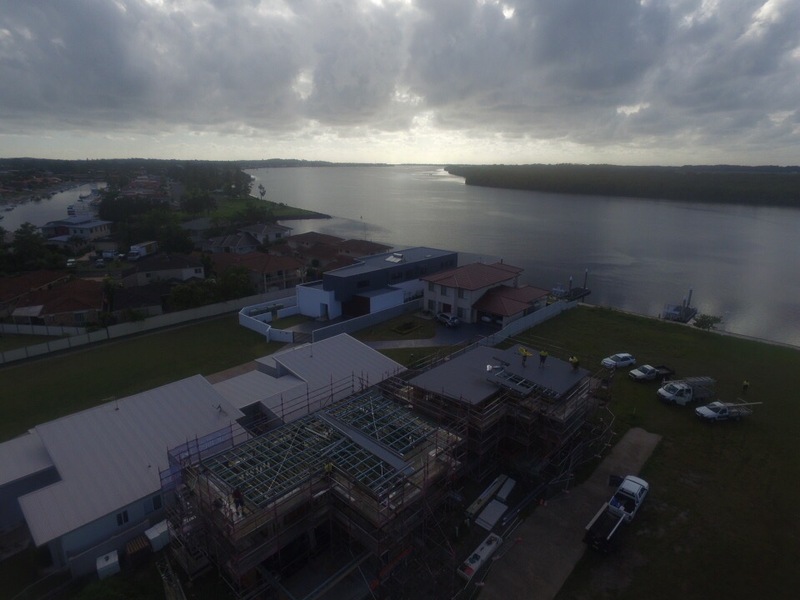 Click here to see some of our drone footage used on our recent Balcony Bar and Oyster Co Byron Bay metal roofing project. You’ll soon see why our workers can sometimes have the best view from the office! Having this capacity to capture aerial footage, enables us offer different angles and video to our clients and also provide us with another way to showcase our safety measures. Talk to us today about how we can add more value to your Byron Bay Metal Roofing project.